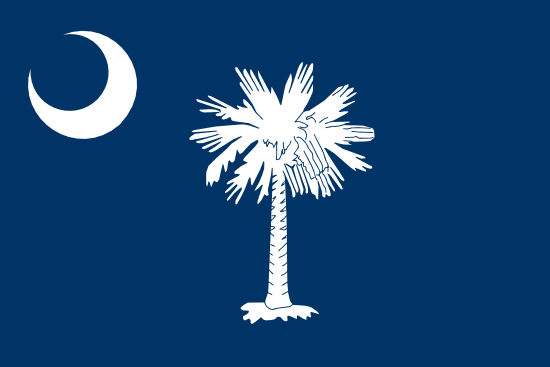 This page is about wrongful termination cases and settlements in the state of South Carolina. It is usually unusual for great claims to go to trial, as they mostly settle out of the courtroom. The majority of lawsuits incorporate mixed settlements, which means they involved one, or a number of claims of wrongful termination caused by sexual orientation, gender expression or gender identity discrimination, race, color, national origin, religion discrimination, disability, pregnancy, workplace retaliation, age discrimination, constructive discharge, gender discrimination, whistleblower, breach of employment contract or firing in violation of public policy. The data in the next paragraph provides a snapshot of the different types of cases filed and additionally their quantities in the state of SC in 2017. Michelle Billups Tensley, an African-American woman, worked at Bloom at Belfair, a nursing home in Bluffton, SC. She was the activities director of the facility. She was fired in 2014 after she missed a single day of work, which she has announced beforehand. Her firing followed the discharge of other black employees and she alleged that she was victim of a plan to fire all black managers from the facility. Malinda Martin was a veteran nurse working for the Department of Health in SC. She was program manager for tuberculosis. She feared an outbreak of tuberculosis in Ninety Six Primary School, Greenwood County, because an employee had tested positive. She advised the Department of Health and recommended testing the children for TB, but they did not. 2 months later, there was a TB outbreak among the students of the school. Parents were furious, and the DHEC needed a scapegoat. They wrongfully terminated Martin for not moving on with the TB tests, even though the department didn’t allow it at the time. The EEOC sued the operators of a Holiday Inn Express in Simpsonville, SC for sexual harassment and retaliation. Three female employees alleged that they were made to work in a sexually hostile work environment. The hotel’s general manager subjected the woman to sexual comments, advances and unwanted touching. One of the women reported the events to the hotel’s corporate office, but they did not investigate her claims. Soon afterwards she was fired by the GM for refusing his sexual advances. EEOC v Atchison Transportation Services, Inc.
Atchison Transportation is the largest full-service ground transportation company in South Carolina. The EEOC sued the company after it discriminated against 2 of it’s coach drivers because of their ages. William Thomas was 75 when he was fired. He was told by an operations manager that the company’s insurance policy doesn’t cover drivers over 70. Norris Locke, 76 at the time, was also fired for the same reason. The EEOC’s investigation revealed that the insurance policy had no age restrictions whatsoever, thus the firing of the men was an act of wrongful termination in violation of the Age Discrimination in Employment Act. Jessica Williams worked as a billing clerk at the company’s Spartanburg trucking terminal. She was 7.5 months into her pregnancy when she went into premature labor. Her ob-gyn was able to stop the premature birth, and ordered a few days of leave from work. When she informed her manager of what happened, he placed her on leave and said that she she can only return to work after the baby was born. Williams complained that placing her on leave was discriminating against her pregnancy and she would file discrimination charges, and as a result, she was fired. EEOC v Foothills Child Development Center, Inc.
Leon Dabrowski was hired to work as an after-school teacher at a preschool operated by Foothills Child Development Center in Easley, S.C. When he was hired, he informed his manager that he had a prior opiate addiction and that he was participating in a medication-assisted treatment (MAT) program, meaning that he was legally prescribed the drug Suboxone. About 30 minutes into his first day, he was fired. The EEOC sued the company for violating the Americans with Disabilities Act. The firm could have assessed what effect, if any, the use of Suboxone would have had on Dabrowski’s teaching abilities. Denise Parker had been employed at the Beta Club as an administrator for 38 years. The organization hired a new CEO in 2013, who had a harsh management style. He reprimanded her about not being profession enough and told her she would be fired if she didn’t improve. A while later, a board meeting took place, where Parker was asked to talk about the reprimand she received. She didn’t want to talk about it, since she was afraid of being fired. This is when a board member said, “Denise, if we ask you a question, you have to answer it, and [the CEO] can’t fire you for answering our questioning.” So she did. 2 weeks later, the CEO fired her for being negative at the board meeting. EEOC v NHC Healthcare/Clinton, LLC. Tonya Aria worked as a nurse at NHC Healthcare’s nursing center in Clinton, SC. She suffers from supraventricular tachycardia, which she took medication for. She became pregnant and stopped taking the medication to avoid any side effects on the baby. As a result, the symptoms of her illness became uncontrolled, and her pregnancy symptoms were exacer­bated as well. She was placed on 3 days of bed rest by her doctor, and was fired not long afterwards for absences. As you look through our list of wrongful firing settlements from South Carolina, bear in mind that the large amounts are as a result of punitive damages, which are rewarded to discourage companies from engaging in the same sort of unlawful conduct. Punitive compensation is very rare. The vast majority of lawsuits settle for between $50,000 to a few hundred thousand dollars. This unique selection of wrongful termination verdicts in SC was created for informative purposes. Even though you may feel resemblance to any of these claims, bear in mind that every situation is different. What is the average wrongful discharge settlement/award in South Carolina? It is understandable that you want to find out just how much money you are likely to be given for your unlawful termination case. In the event that you come to an agreement with the employer, the amount of money you get is basically dependant on the following: benefits lost, medical expenses, emotional distress, job search costs, lost wages and reason of discharge. Punitive damages can also be awarded in rare cases, if the employer behaved egregiously. As so you see from the example lawsuits above, giving a standard settlement for wrongful termination claims in SC is actually very difficult, simply because every case is different. The average wrongful termination settlement in South Carolina is between $4,000 and $90,000. Lawyers continue to be helpful when negotiating a better settlement. The majority of jury awards are usually bigger, approximately $90,000 – $300,000. This is definitely one of the reasons organizations like to reach settlement outside of court. If you think you were let go for some kind of illegal cause, here are tips on what you should do. To start, you will need to get in touch with a wrongful termination attorney in South Carolina to ascertain whether or not you have a case worth pursuing. Do not hold off, there may be cutoff dates to reporting unlawful dismissal claims in South Carolina. Second, you will probably need to file a timely claim with the EEOC in Greenville. Here are several best practices on filing a wrongful termination claim.